The eGaIT database for the stride segmentation validation consists of data from 70 subjects. 25 elderly controls for template generation, 15 elderly controls and 15 patients with Parkinson’s disease (PD) for algorithm evaluation were recorded at the Movement Disorder Unit of the Department of Molecular Neurology, University Hospital Erlangen, Germany. Sensor data from 15 geriatric patients were acquired at the Geriatrics Centre, Waldkrankenhaus St. Marien, Erlangen, Germany. All subjects gave written informed consent. A detailed table with subject characteristics can be found in . The eGaIT database for the gait parameter validation consists of data from 101 subjects (55 female and 46 male, age 82.1 ± 6.5 years, height 164.0 ± 10.0 cm, mean ± standard deviation (SD)) that performed straight walking tests. All subjects gave written informed consent. A detailed table with subject characteristics can be found in . Two SHIMMER (Shimmer Research, Dublin, Ireland) sensors were used for data acquisition. 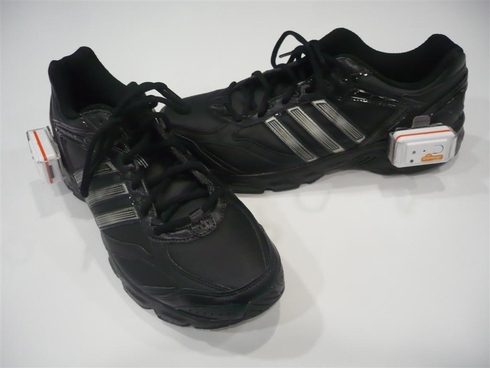 Each sensor node was equipped with a triaxial accelerometer and a triaxial gyroscope and was attached to the lateral side of a sports shoe. Data were sampled with 102.4 Hz and were streamed via Bluetooth to a standard windows computer. Barth, J., Oberndorfer, C., Pasluosta, C., Schülein, S., Gassner, H., Reinfelder, S., Kugler, P., Schuldhaus, D., Winkler, J., Klucken, J., & Eskofier, B. M. (2015). Stride Segmentation during Free Walk Movements Using Multi-Dimensional Subsequence Dynamic Time Warping on Inertial Sensor Data. Sensors, 15(3), 6419-6440. Rampp, A., Barth, J., Schülein, S., Gaßmann, K.-G., Klucken, J., & Eskofier, B. M. (2015). Inertial Sensor-Based Stride Parameter Calculation From Gait Sequences in Geriatric Patients. IEEE Transactions on Biomedical Engineering, 62(4), 1089-1097.